Six legs, and there's an insect for you! Please excuse the lighting! I did it at night in a dimly lit room. It makes my children look sickly. 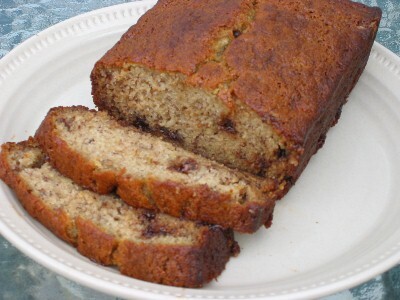 Banana Bread is the most classic recipe of all quick breads. It is classic because of the speed and simplicity in which it is prepared. The ingredients are basic staples in any pantry, so it can also be thought of as an “old faithful” recipe. Cameron was our top eater. He had four slices with dinner, and two more slices for an after school snack the next day. Madison liked this bread, despite the fact that she doesn’t like bananas. Cream butter and sugar together until creamy. Add the eggs, one at a time, beating after each addition. Add the vanilla, bananas, and vanilla yogurt and beat until well blended. Combine flour, baking soda, salt, and cinnamon together. Mix at low speed with the banana mixture until well blended. Pour batter into greased bread pan. Bake at 350° for 50 to 55 minutes until inserted knife comes out clean. Cool on wire racks for 10 minutes; remove from pan and let cool completely on wire racks.